Getting your kids to school every day and then having to pick them up can be stressful to say the least. You have to wake up extra early, and then schedule your entire day around the 3 o’clock (or so) pick up time. Of course, you don’t mind doing this for your kids, but wouldn’t it be nice if you didn’t have to worry about it every single day? There is a better way, and it is called carpooling. 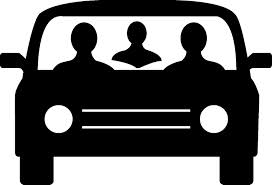 When you are part of a carpool, you are only responsible for drop off and pickup duty a day or two per week instead of all of them. Can you imagine how great it will be to get to sleep in? Or spend the day at the salon? Or not worry about having to leave work early? Whatever you choose to do with your free time is up to you. But that is not the only benefit to carpooling. You already know that it can save you time (less driving) and money (less gas), so what is another benefit? What about the quality time your kids get with the other kids? Nothing brings people closer together than spending time in the car together. Your kids will get the extra time with their peers that may very well be the perfect foundation for lifelong friendships. Oh, and then there’s the environment. Less cars on the road means less gas being used and less harmful pollutants being emitted into the air. Carpooling saves you time and money, reduces stress, helps your kids make friends, and saves the environment. That sounds like the ultimate win-win situation. Oh, and did we mention all of the benefits of carpooling aren’t only for school kids? They can be translated to your work life as well. So set up that carpool, and when it’s your turn to drive, always drive defensively. Your only regret will be that you didn’t do it sooner.